The acetabulum is the socket of the ball-and-socket hip joint. The top of the thigh bone (femur) forms the ball, and the socket (acetabulum) is part of the pelvic bone. Several bones join together to form the round pelvis: the ilium, the ischium, and the pubis. In the back of the pelvis, the sacrum and coccyx are also joined together. On either side of the pelvis, is one hip socket. This acetabulum is round in shape and covered inside with smooth cartilage. This cartilage forms the smooth surface of the hip joint. 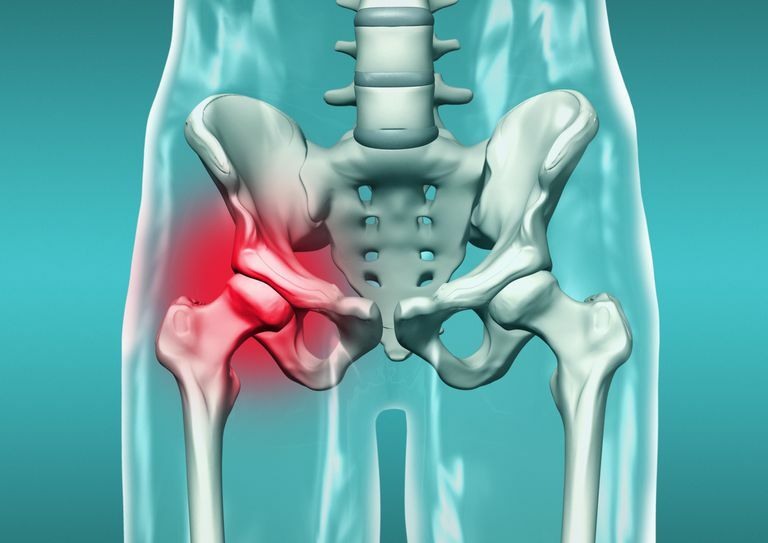 An acetabular fracture occurs when the socket of the hip joint is broken. This is much less common than most hip fractures, where the to of the thigh bone is damaged, not the socket. It is very rare for both sides of the hip joint to be damaged in an injury; typically a fracture occurs to either the ball or the socket, but not both. Acetabular fractures either occur with high-energy trauma (e.g. auto collisions, falls, etc.) or as an insufficiency fracture. In younger patients, there is almost always significant trauma, and commonly other associated injuries, when an acetabular fracture occurs. In elderly patients, acetabular fractures can occur due to bone weakened from osteoporosis. In these cases, an acetabular fracture may occur after a simple fall. There are a number of factors that need to be considered to determine the optimal treatment of an acetabular fracture. Because the injury involves the hip joint, no matter what the treatment is, there is an increased chance for patients to subsequently develop arthritis of the hip joint. The reason hip arthritis can occur is that the socket of the hip is covered in smooth cartilage that is damaged at the time of the fracture. Carefully restoring the normal alignment of the hip joint may help slow the progression of arthritis. Nonsurgical treatment is generally reserved for fractures that are not out of position or patients who are not healthy enough to tolerate a major surgery. Sometimes, nonsurgical treatment is pursued with the plan to perform a typical hip replacement if arthritis develops inside the joint. Whether or not surgery is performed, patients must avoid placing weight on the affected extremity, often for several months after the injury. Patients are usually allowed to place their foot on the ground (touch-down weight-bearing), but no more force is allowed on the leg. Walking on the extremity too soon risks further displacement of the broken fragments of bone. Unfortunately, the long-term prognosis of acetabular fractures has many potential complications. In the early period, patients who have acetabular fractures often have associated injuries including head injuries, abdominal injuries, urologic injuries, and other musculoskeletal injuries (spine and knee are most common). These patients are at high risk of developing blood clots in the legs and pelvis. Patients who have surgery risk infection, nerve and blood vessel injury, and wound healing problems. In the longer-term, the common problem is the development of hip arthritis. Patients often eventually need a hip replacement surgery. Other possible problems include hip osteonecrosis and heterotopic bone (excess bone) formation. Baumgaertner MR, "Fractures of the posterior wall of the acetabulum" J. Am. Acad. Ortho. Surg., Jan 1999; 7: 54 - 65.